Luke Hurley is an acclaimed guitarist/singer/songwriter, both locally and internationally. 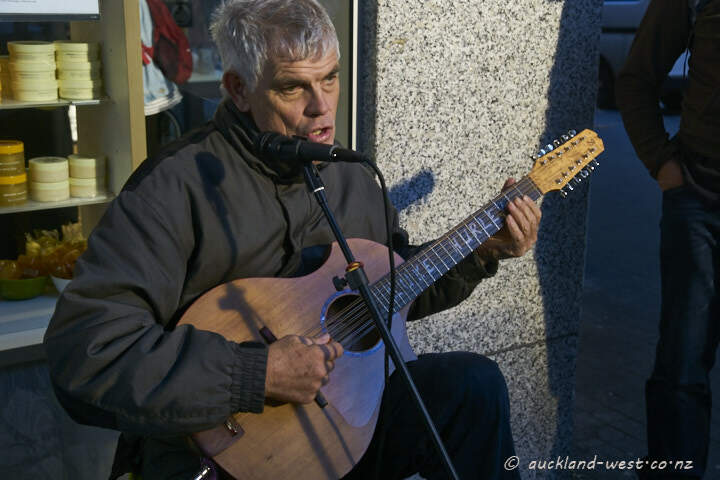 Here he is seen busking at the corner of Queen and Darby Streets, Auckland CBD. This was last week, and although the sun was shining (it’s raining solid at present), it could not penetrate the canyon that is Queen Street. However, reflected sunlight from one of the buildings opposite was focused on that corner.